We have the most wonderful group of sewists that gather at our monthly meetings. The club is for all sewists; whether you love quilting, apparel, home decor, or are just starting out. 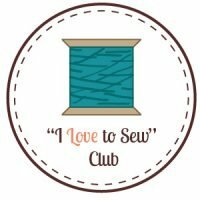 "I love to Sew" Club is a fantastic opportunity to learn about new techniques, new notions, etc. all while having a great time connecting with other local sewists. Free for members (annual cost $50.00) $7.00 fee for non-members, first meeting is free.